We’re back with some of our biggest supporters. 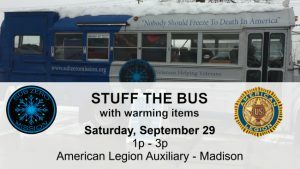 It’s time to Stuff the Bus. 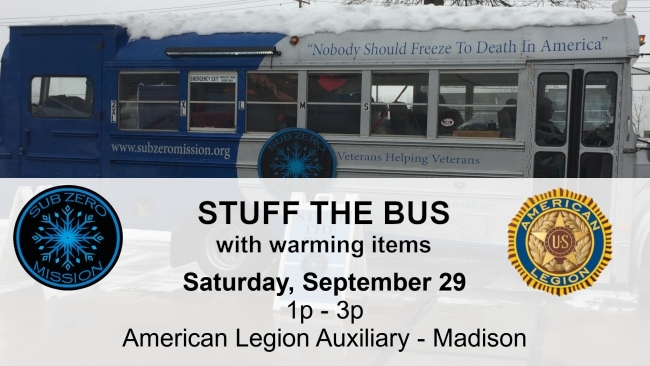 We are collecting our Stay Alive Five at the American Legion Post 112 in Madison sponsored by the American Legion Auxiliary, Saturday, September 29 from 1 pm – 3 pm pm.